535.00 sqft. 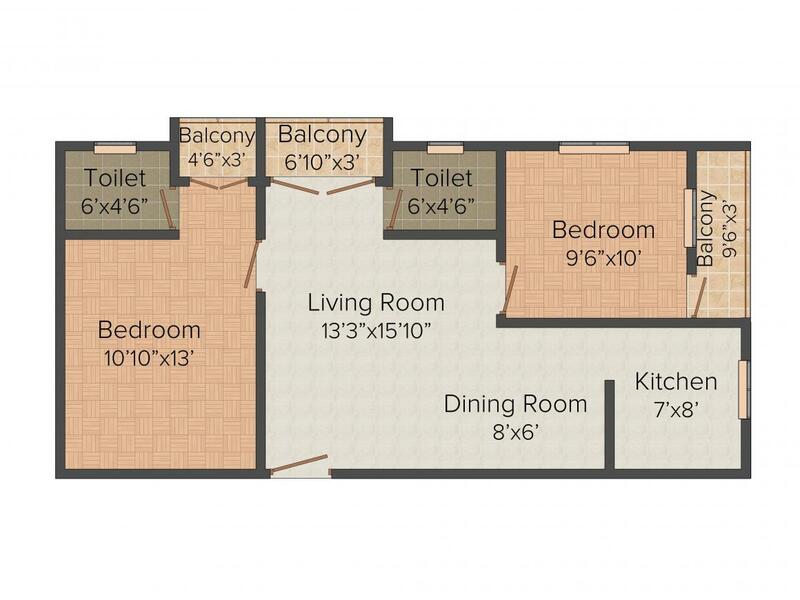 - 1164.00 sqft. The Krish Luxuria is a brand new prestigious project with all comforts and necessary needs for better lifestyle. The complex is beautifully remodeled with open area this magnificent contemporary development offers best lifestyle living with your loved ones. The apartment with elegant designs and greenery environs makes a vigorous combination of comfort and relaxed atmosphere. The complex assure of delivering homes that are beautifully designed in both aspects from interior or exterior. The residence is a combination of quality and design where each and every crafted project makes a unique appearance. 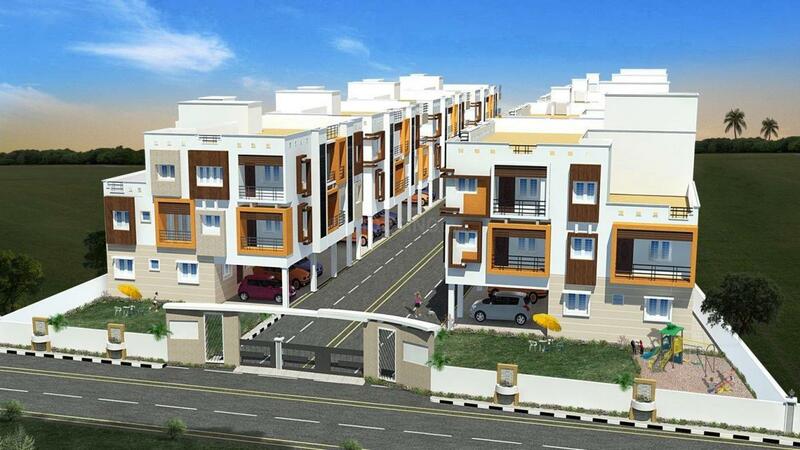 The apartment providing spacious parking facilities with landscaped environs makes it a perfect place to exist. The ample lights and fresh breezy atmosphere allows everyday special. Manimangalam is a place in Kunnathur Taluk in Kanchipuram District of Tamil Nadu State. The nearby localities to Manimangalam are Nandivaram-Guduvancheri, Thirunindravur, Ambattur, Chengalpattu that can be reached through public transport. The station nearby Manimangalam is Vandalur Rail Way Station and Perungulattur Rail Way Station. There are some Tourist places like Sriperumbudur and Mahabalipuram that attract tourists throughout the year. There are some schools also and colleges like Dhanalakshmi College of Engineering and TMG College of Arts And Science at Manimangalam. This place has good connectivity and is comfortable for a normal carefree life. Shivani Homes mainly focuses on emerging real estate projects that embrace the goodness of nature and at the same time build luxury projects that come with an affordability price tag. The group lines of superiority, depicting experience, innovation, knowledge, and morality. The firm is loyal to offer excellence material so that they can strengthen their goodwill. Each and every project started by the builders has been a specimen of their vision and mission. The company has been supplying high quality, modern, sustainable developments that are agreeable to customers and commercially popular with an essential sense of social and environmental responsibility.